With only 5 hours cruising to do before Saturday morning (this is when the stoppages up ahead are due to open) then another three hours to be in position for Monday morning when we will climb the locks into Sheffield, we are not in a rush. Tilly was allowed to go and find some friends whilst we had breakfast. Some crows weren’t too enamoured with her being about and had started circling, a call from me encouraged her back inside, we could push off. No wind but blue skies, it was still chilly and worth us putting padded trousers on. Looking behind us as we pushed off I could make out a boat coming through the Don Doors (the guillotine gates on the aqueduct over the River Don) at the end of the New Junction Canal. Which way were they going to go? We slowed our pace to see if they would turn at the junction and head towards Thorne but they continued straight towards us. 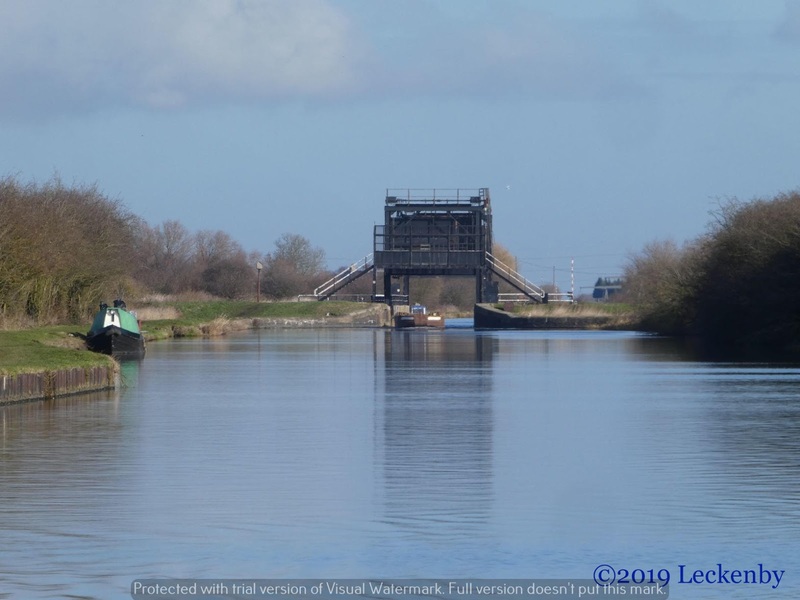 Ahead was Barnby Dun Lift Bridge, it’s a big one with two way traffic, no sitting on bridge beams to keep this one open, just the key of power. A boat was on the service mooring which also doubles as the bridge landing, so we pulled in a distance away and I headed up to operate the bridge. We’d wait for the boat behind us to get closer before I set the flashing lights and barriers going. I’d been beaten to the bridge by a C&RT chap, the boat behind was a C&RT tug and hopper boat now rounding the bend behind us. 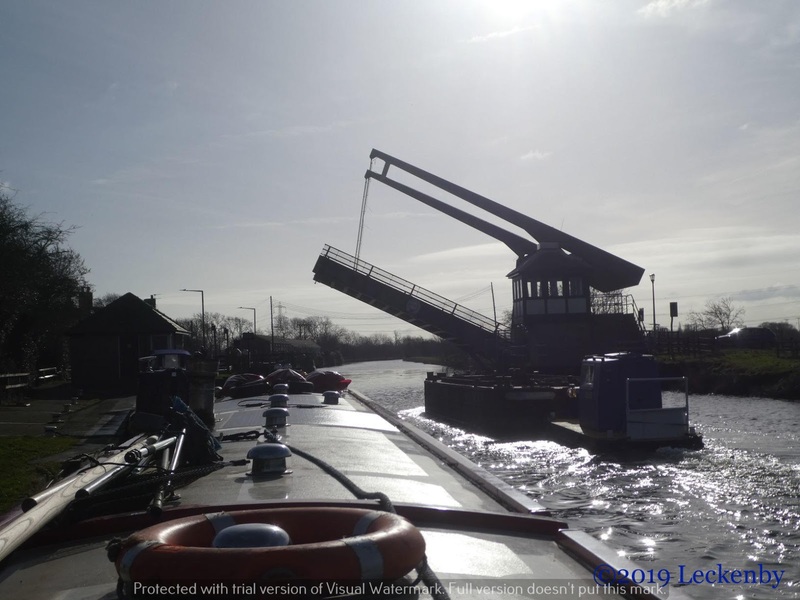 So I returned to Oleanna and Mick waved the tug past as the bridge lifted stopping the stream of traffic. Mick nudged Oleanna’s bow out and we followed through under the bridge counting stopped vehicles in three directions. 35, it’s nearly as good as Plank Lane on the Leeds Liverpool! From here we followed the boat ahead. Where the large Pilkingtons factory used to stand at Kirk Sandall new houses are being built. 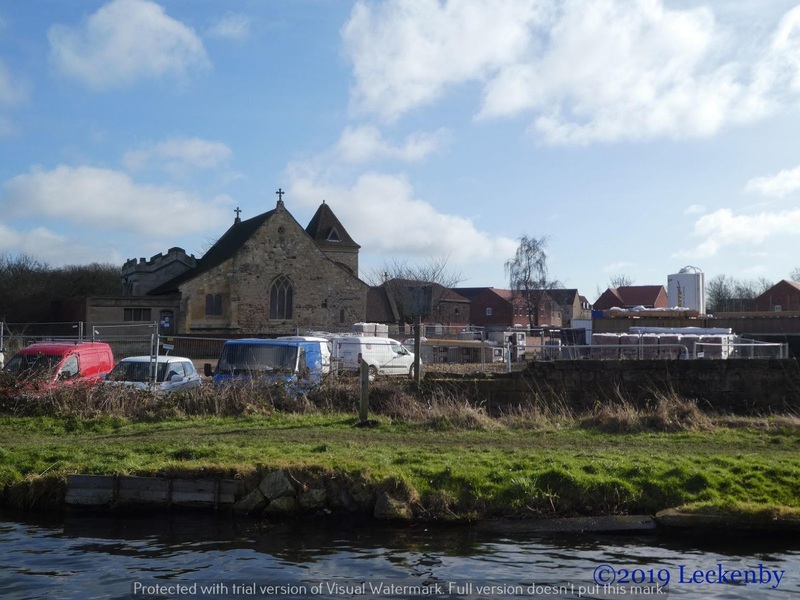 The small quirky St Oswalds Church, which once sat alone by the canal will soon have plenty of friends around it. 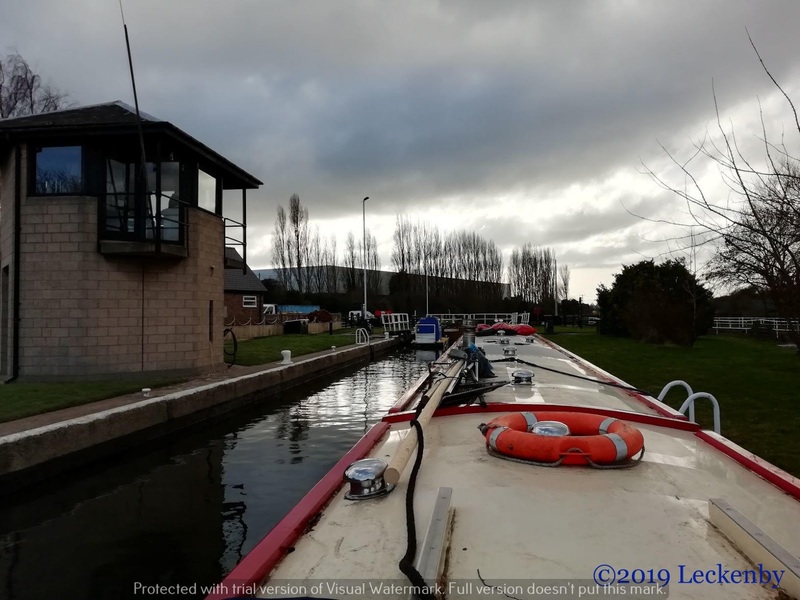 Soon Long Sandall Lock came into view, the C&RT chap had driven round to operate it and the gates had been left open for us. The tug and hopper in front and us behind there was still plenty of room for several others. Onwards past Strawberry Island on the outskirts of Doncaster still following the tug. Would there be enough room for us on the pontoon? 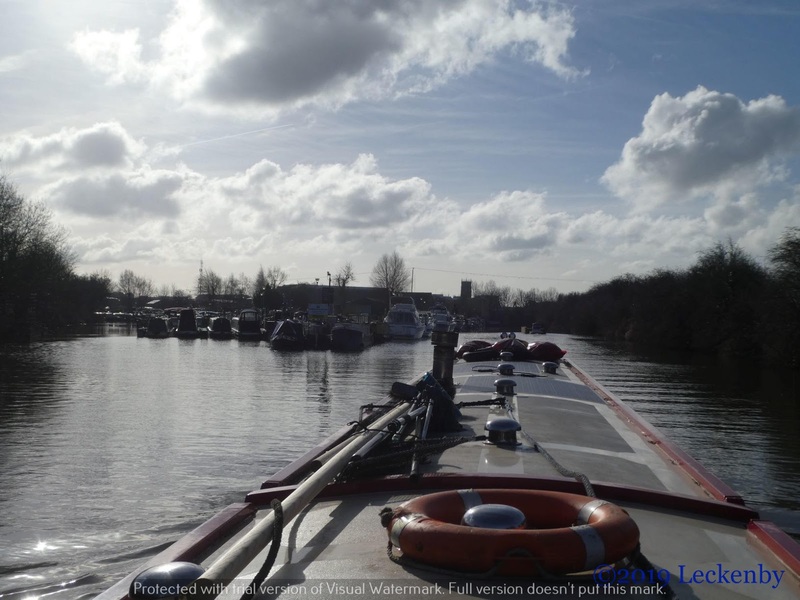 With water and the proximity to the city centre we thought it would be popular with the local continuous cruisers. The tug pulled up just past the water point, other than that not one boat, so we could choose which end to be at, the road bridge end or the east Coast Main Line end, we chose the road. 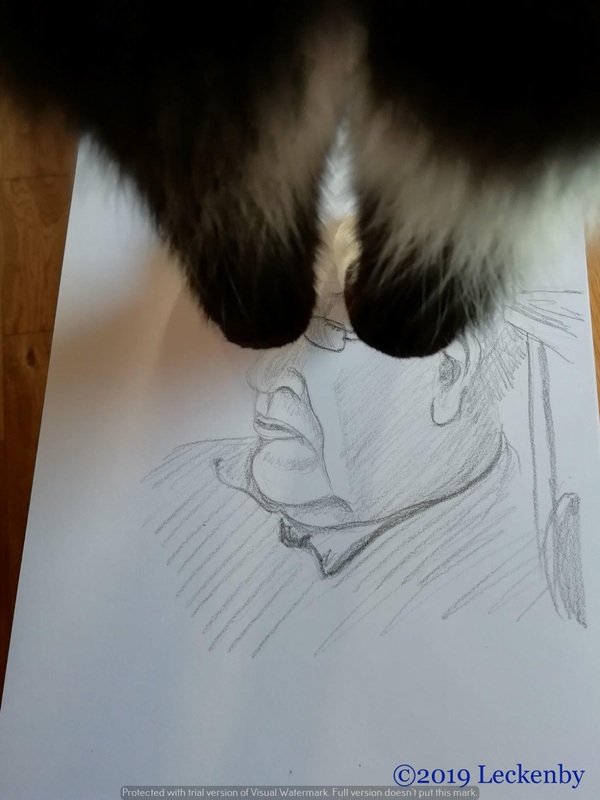 1 lock, 5.71 miles, 1 lift bridge holding up 35, 0 need for the key of power, 1 empty wee tank, 1 friend, 5 noisy black swooper birds spoiling my fun, 5th ball of yarn on track for length, 3 sketches, 1 feline critic, 1 Nick Lane stew heated up on the stove all afternoon, very tasty indeed. This entry was posted in Uncategorized on 13th Feb 2019 by pipandmick.